UK Christmas Tradition: Make Plum Pudding! 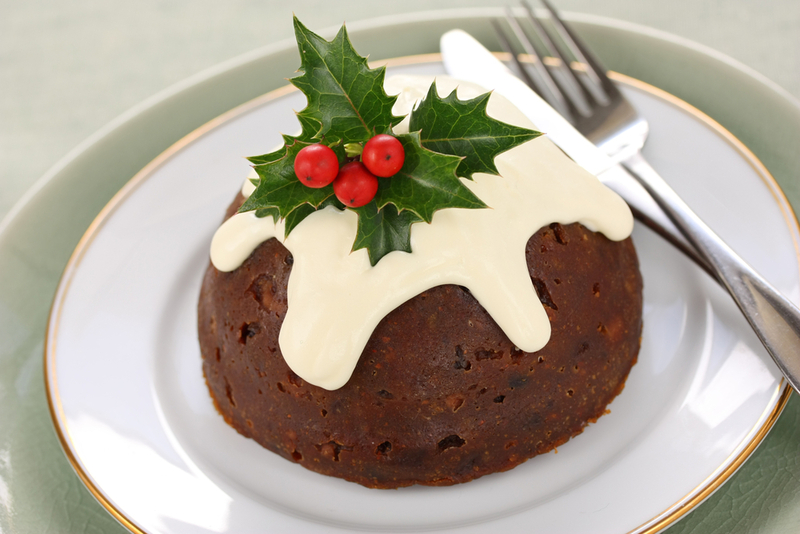 Many British families eat Christmas plum pudding, a delicious tradition, at the end of Christmas dinner. 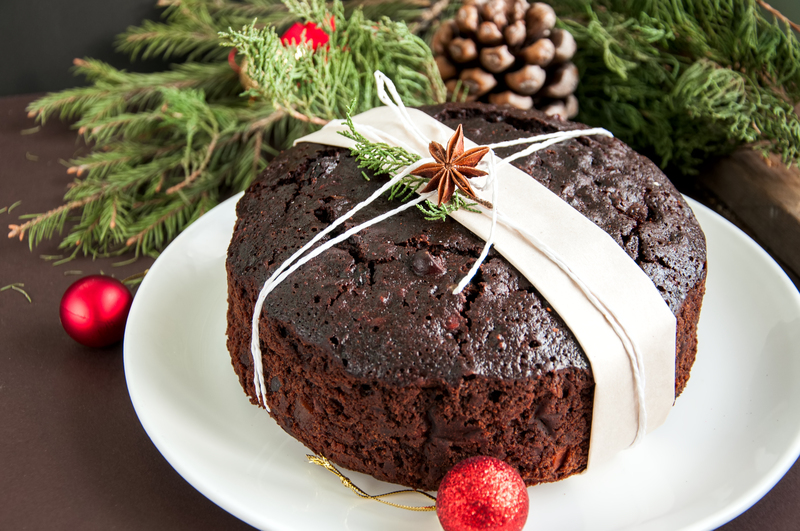 Bearing a slight resemblance to American fruitcake, British Christmas puddings are usually very moist and more cake-like. The puddings date back to when cooks first learned to preserve fruit and meats for the winter months, and they have since evolved from a porridge consistency to the dark, dense cake eaten today. Sometimes known as Stir-Up Sunday, the last Sunday before Advent is the customary day to make Christmas pudding. 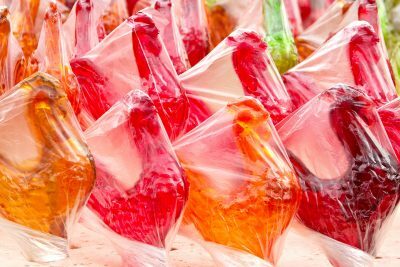 Ingredients may include dried fruits, citrus zest, nuts, eggs, breadcrumbs, and suet (beef or mutton fat) to bind it all together. It is necessary to steam the puddings for many hours, and then to wrap it in cloth and hang it in a dry place until Christmas. According to some traditions, the person who makes the pudding must make a wish while stirring the pudding from East to West, for good luck. Adding coins and other symbolic tokens to the pudding is another custom that is said to bring good luck to whoever finds them in their pudding! Combine the molasses, butter, milk, and eggs in a mixing bowl. Next, combine the flour, baking soda, salt, cinnamon, and cloves in a large mixing bowl. Then add the dry ingredients to the wet ingredients in 3 additions. Toss candied fruit and raisins lightly with flour to prevent sinking and add to batter. Stir in brandy (optional). Pour into a greased and sugared steam pudding mold and place on a rack in a large covered pot with water that comes halfway up the sides of the mold. Cover and steam for 2 hours, checking occasionally to make sure water hasn’t boiled out. Let cool for 5 minutes on a rack before turning out. To make hard sauce, beat all ingredients together until very well combined. Serve with pudding. Dust with powdered sugar and serve with a sprig of holly and hard sauce. Norway Christmas Traditions: Make Rice Porridge! In Norway, the main celebration takes place on Christmas Eve. On this day, almost every Norwegian eats rice porridge. Learn how to make it! Canadian Christmas Traditions: Candy Recipe Included! Canada is diverse country and has many unique holiday customs. Learn about Canadian Christmas traditions with Little Passports! We lived in England from July 1982 to July 1988 and I loved Christmas traditions there. We still have Crackers at holiday meals and everyone must wear the paper hats and read their riddle. I still make little mince pies for “afters” and buy British treats for the stockings. Thanks for the memories!